In the current day and age, electricity is vital even at times when we are outdoors. In these instances, Inverter Generators are excellent items to bring when there is an electrical interruption at home or when traveling or camping out. They are functional companions when electricity is needed for a short period of time and when it is not readily available. As great providers of portable energy, they are lighter and more portable compared to the traditional generators. The best inverter generators provide efficient usage of energy to help save your fuel, putting it to better and accurate use. And because nobody is certain when electricity may run out, it is important to have a backup stored energy to help and provide adequate buffer time to prepare for the shortage. 3.1 Why is an inverter generator so important? 3.2 Why are inverter generators better than traditional generators? 3.3 How do inverter generators work? 3.4 What are the benefits of inverter generators? In order to assess the best inverter generator for you, we must first look at the various things to consider when you finally decide to go out and buy one. As this revolve around electricity and current, it is important to have ample space and a safe environment for it to run smoothly and without any delay or causes for unnecessary accidents. To compare, traditional generators are cheaper than inverter generators. It’s best to look at your budget first and know how much you are willing to spend for this. Do take note, though, that the quality of the inverter generator compensates greatly for its price tag. The additional features are added qualities that you will be paying for. If you need this along the features it presents and have the capacity to buy, then this might be the right tool for you. It’s clearly seen that the portability of the inverter generator was really taken into consideration when they were designed and built from the start to its end. 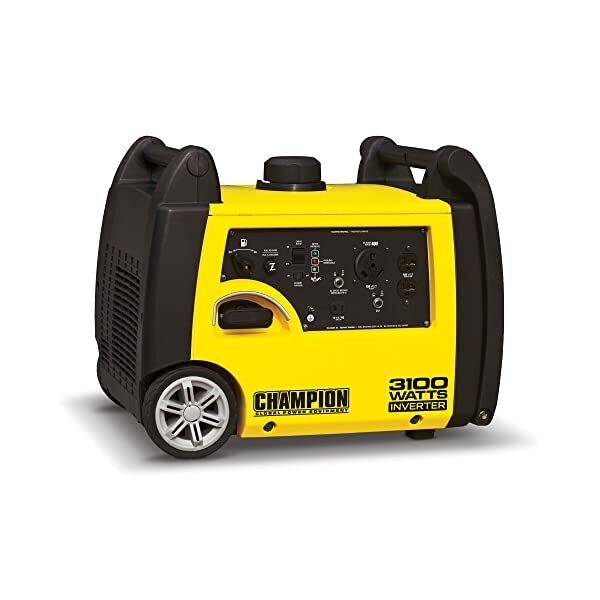 This tool is generally lightweight compared to other generators having a range of 30 to 50 pounds. This means that it is usually the option that’s easier to carry and transport whenever the need arises. There are also heavier variations that are currently produced for better performance. Always use inverter generators outside. Never use them indoors even if there are openings such as doors or windows. As it operates, toxic gases are exhausted that anyone nearby may inhale, such as Carbon Monoxide which is odorless and colorless. Inhaling this can cause severe health problems. Use the inverter generator at a safe place outside the house and far from people to ensure safety and efficiency. Also keep the inverter generator away from wet places. Rain or snow may cause problems on the generator, especially since it operates primarily with electricity. Even the best inverter generators are susceptible to the forces of nature since it works as a delicate source of energy. As it is lightweight, there is also a limit to its maximum power output. When utilizing even the best inverter generator out there, be aware that the output is lower than traditional generators. The range for inverter generators is around 1,000 to 4,000 watts. However, with the limitation in max power, it makes up for the technology utilized. The inverter generator converts AC current to DC, with capacitors cleaning out the electricity. Afterwards, the DC current is returned to AC, providing a cleaner electricity than it initially had. With the technology, inverter generators adjust according to the needs of the user. Whether the device connected needs high or low power, the tool efficiently adjusts accordingly to its needs. This means it is fuel-efficient, utilizing as much or as less energy required for the device to work properly. This is important as most household items nowadays have specific sensitivities and needs when it comes to the device’s energy demands or just saving fuel. Inverter generators make minimal noise than the common generator. If the place where you need to use backup electricity has a high consideration for noise levels, then this is the perfect tool for you. As it adjusts according to the connected device’s power needs, the noise level may vary. But even at full power, the decibels are significantly low to be noisy. The Champion Power Equipment model 75537i portable boasts its wireless remote feature that is excellent for outdoor use. It can be start or stopped from a distance of up to 80 feet, letting users enjoy wherever they are and whenever they need it. The Champion 75537i is a quiet, durable, and cost-effective inverter generator that boasts its wireless feature for maximum comfort and ease of use. It works for up to 8 hours on full 1.6 gallon tank and can be connected to other inverter generators if you need more power. In case of power outages, the inverter generator can be used on multiple devices for the necessary adjustment time. It is also 50-state/CARB compliant, ensuring that it is safe to use. This is best inverter generator for rv. The Champion Power Equipment model 75531i portable boasts its lightweight and transportable built that is great for any outdoor activity. It can be a great companion on outdoor trips or as backup power in emergency situations when there is an outage. 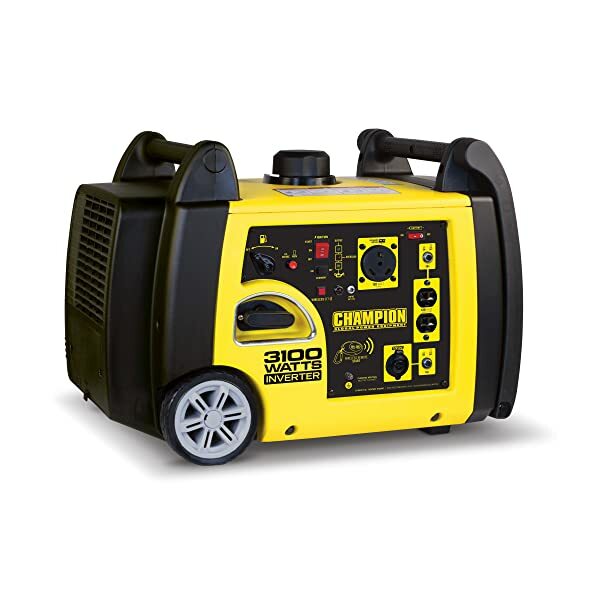 The Champion 75531i is a lightweight, quiet inverter generator that has multiple features for maximum comfort and ease of use. Having a light design compared to heavier models, it is easier to transport and is capable of connecting to other inverter generators for more power. It is a great tool for power outages and is very useful and convenient for outdoor use. It is 50-state/CARB compliant that ensures a safe product for use. Designed for portability and transportability, the Briggs & Stratton 30545 P3000 is a great companion for outdoor trips. It has built-in Never Go Flat wheels for ease of transport wherever you may need to use them. The handles are also designed to let two people move the inverter generator, for a convenient transportation. 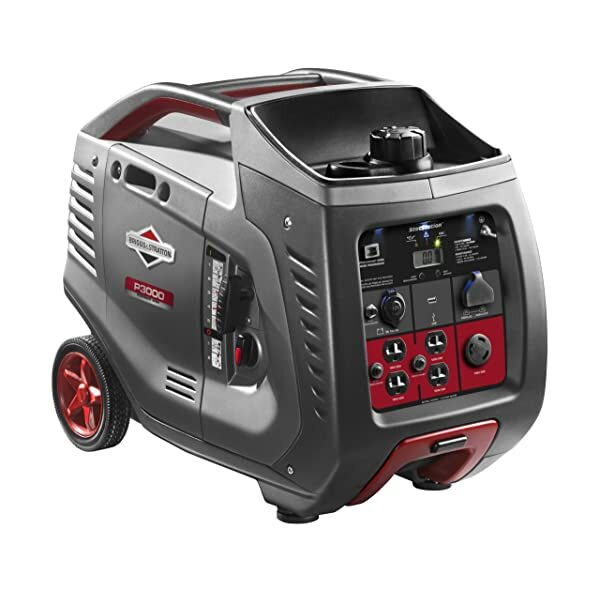 The Briggs & Stratton inverter generator is a unique tool that focuses on its portability and transportability. With two handles and luggage-style telescoping handle design, it is an excellent outdoor companion that is conveniently produced for anyone to bring. Besides its travel potential, it is also a great power source when there is an outage. 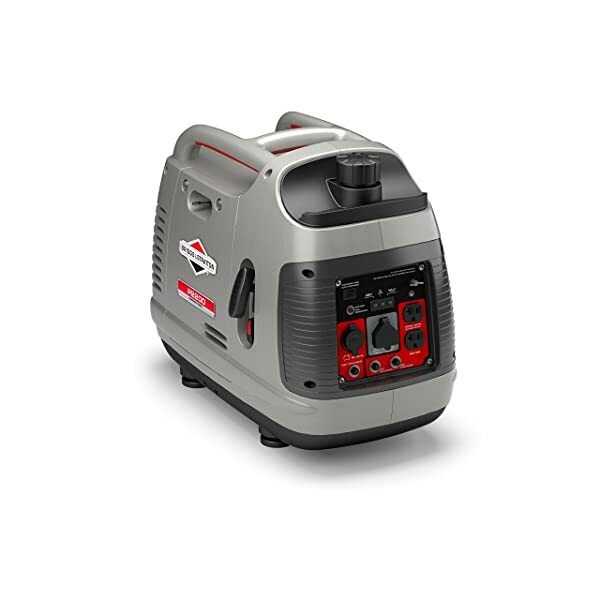 A very light inverter generator, the Briggs & Stratton 30651 PowerSmart Series takes pride in its extremely lightweight design compared to the usual models of the tool. With this, it is very portable and travel-friendly. Despite the weight, it still offers a good amount of power in cases where there is an outage or when traveling. With the various advantages of having a portable and easily transportable inverter generator, it becomes a clear reason why they are popular despite the modest amount of power compared to larger=sized inverter generators. The sleek and compact design of the 30651 series P2.2k PowerSmart provides an option for users when they would opt to bring lighter tools on outdoor trips. If needed, the parallel compatibility is a great feature that connects two units together and gives the advantage of having the choice on whether to bring another set for more power. As it focuses on its lightweight feature, it does provide great options for variation. A strong yet extremely inverter generator, the Yamaha EF2000iS is another tool that boasts on its lightweight and compact design, allowing maximum flexibility on its portability and transport. For homes it offers a lot of convenience for its ease in transport. It can be placed anywhere it needs to be as long as you’ve got the spaces for it. For outdoor settings, it’s a great companion to have especially when the place you’re traveling is quite hard to reach. Oftentimes, camping means being on your feet and transporting something heavy manually can be a pain, but with this design, it makes it much easier. 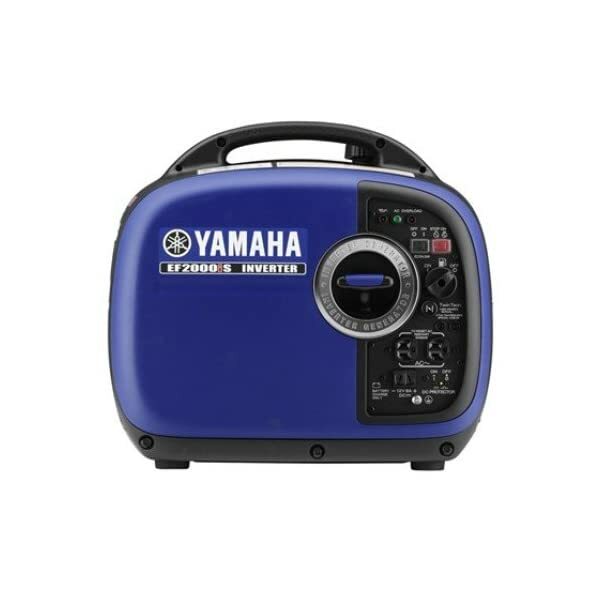 As it boasts portability, the Yamaha EF2000iS is truly an excellent inverter generator companion to bring on outdoor trips. It is very light and easy to use with a compact design for convenience. With the various features listed, there are a lot of legroom for the potential of the device. It is quiet, light, and easy to carry around wherever you might need it. 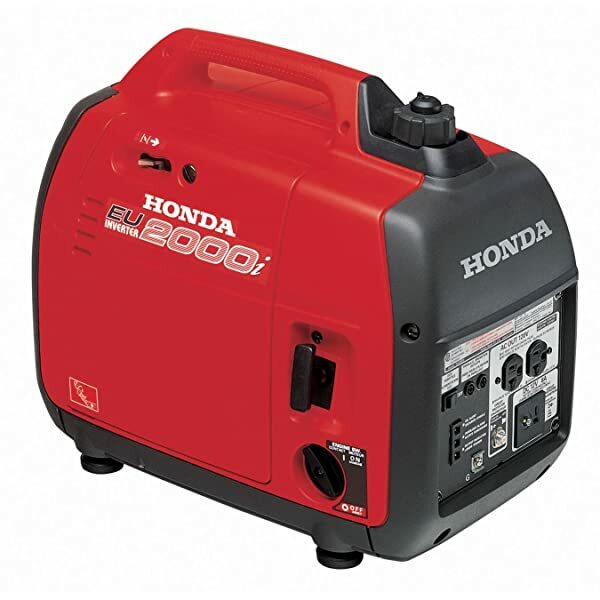 Investing on the lightweight potential of inverter generators, the Honda EU2000i highlights its portability and transportability with its compact design. It offers flexibility in space when traveling and convenience to transporting for its weight. It is also a quiet inverter generator that despite its size, it still has a lot of power to offer for camping trips and emergency situations, making it a useful tool to have around. With the increasing technological advances, the best inverter generators are now being designed with transportability and convenience in mind. It can be utilized for emergency purposes on power outages in case of important preparations before having the energy out. For its outdoor potential, its lightness and compact design makes it easier to handle and travel around flexibly with. Why is an inverter generator so important? Inverter generators have become a part of the growing modernization of society. They are great tools to have in the event of sudden power outages, providing sufficient time for preparations. It is a recent innovation that addressed various concerns based on the traditional generator. They are relatively quiet, portable, travel-friendly, and fuel-efficient, addressing various concerns and becoming a new technological progress on its own. Why are inverter generators better than traditional generators? With all the help and potential of the traditional generator, it came with various setbacks. Noise is a primary concern among users as it particularly has a loud operating noise that others find disturbing. Generators are also relatively heavy with variations that are powerful but hard to transport. Its fuel efficiency is also a problem as it operates at a constant flow, whether it is charging a large or a small device. Inverter generators were made as a solution to the various concerns of the traditional generator. These are built as quiet as possible with below 60dBA, quieter than vacuum cleaners. They are also made for portability and convenience, as they can be transported to different areas easily with a lightweight and compact design. It also boasts of smart technologies that detect the exact amount of electricity needed to charge for fuel efficiency. How do inverter generators work? Inverter generators work by generating 3-phase AC power at high frequency. This AC power is converted to DC and then back to AC, thoroughly cleaning out the electricity, which means current becomes consistent and that there is a more stable sine wave delivery. Sudden overcharges or disruptions are then greatly negated. Usually, inverter generators can be paired up with similar devices for more power offered to its users. What are the benefits of inverter generators? The best inverter generators are designed with a lot of specifications to its noise reduction, fuel efficiency, and portability. Noise reduction is effectively implemented in all inverter generators. These quiet inverter generators usually operate with a noise average of 50 – 59 dBA, far quieter than vacuum cleaners or normal conversations in offices. This significantly reduces irritable reactions from people who are nearby the inverter generator. It operates as quiet as possible while retaining its power. Fuel efficiency is also a great improvement on generator technology as inverter generators mostly recognize the amount of power devices need and adjusts accordingly. As all devices have different power needs, the tool adjusts its power and provides the exact amount needed to increase its efficiency and save more fuel and ultimately, costs. Portability is also a major improvement that the best inverter generators have implemented. Some variations have wheels and some are made compact for flexible storage. This has made inverter generators friendly companions for traveling and camping out. Even in homes it’s easier to transport and use around the lot for its design. The best inverter generators have become effective home and travel companions. They provide necessary energy and are fuel efficient compared to the traditional generators. However, with all these features comes a relatively high price tag. Do take note, though, that in the long run it is more efficient, cost effective, and its features compensate for them greatly. Make sure to buy the best inverter generator for you according to your lifestyle, home size, and budget. As great companions especially in emergencies, always exercise caution in using them and enjoy a great alternative source of power for your home or travel needs.